Join us for an afternoon of winter bloom and good cheer in the home and garden of WILDCOAST board member Scott Borden and San Diego Horticultural Society president Jim Bishop. Perched on a hillside overlooking Mission Valley with an expansive view from the mountains to the sea, Scott and Jim have created a globally recognized Mediterranean villa garden brimming with plants from all over the world. Their collection of plants from Australia and South Africa are usually at their peak in January. 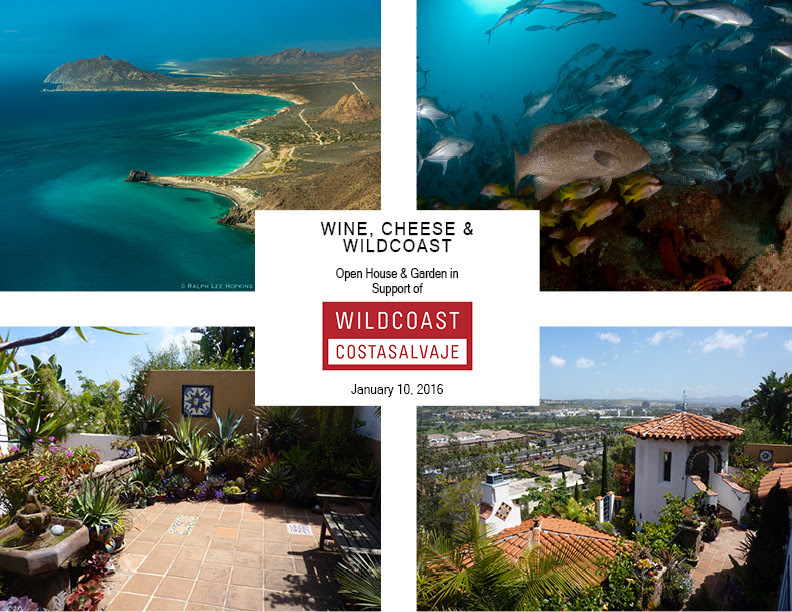 Enjoy wine and cheese and immerse yourself in seasonal blooms while you learn about WILDCOAST’s efforts to conserve coastal and marine ecosystems and wildlife in California, Mexico, and now in Cuba. Meet WILDCOAST board members and enjoy an informative presentation by Serge Dedina, WILDCOAST Executive Director. Learn how you can make an impact by supporting WILDCOAST. Advance registration is required, $45 per person, all proceeds support WILDCOAST. Space is limited for this exclusive event, sign up today by clicking here. Additional tax-deductible donations to WILDCOAST will be accepted at the event.